It was a result that shook German football. Already four points behind Borussia Dortmund Bayern lost der Klassiker last Saturday opening the gap between Germany’s two biggest teams to seven points. Furthermore, the result also meant that Bayern dropped all the way to fifth in the Bundesliga standings. For 60 minutes Bayern were able to keep pace with one of the youngest squads in the Bundesliga. But what Borussia Dortmund head coach Lucien Favre said at halftime to his squad, “Bayern will not be able to keep that pace”, would ultimately turn out right as Dortmund overwhelmed the reigning German champions. Meanwhile, sporting director Hasan Salihamidžić told the media that some changes might come as early as this winter. “We always keep our eyes open and keep track of where we can improve our squad,” the sporting director told the media. While Hoeneß and Salihamidžić seem to disagree somewhat on potential winter transfers, there is no doubt that Bayern will bring in some major changes next summer. Bayern had an annual turnover of €640 million in 2017 and once again announced a record profit (€39 million after taxes). Without an owner, the club has built up a significant war chest and will be capable of making substantial investments in transfers this upcoming summer. 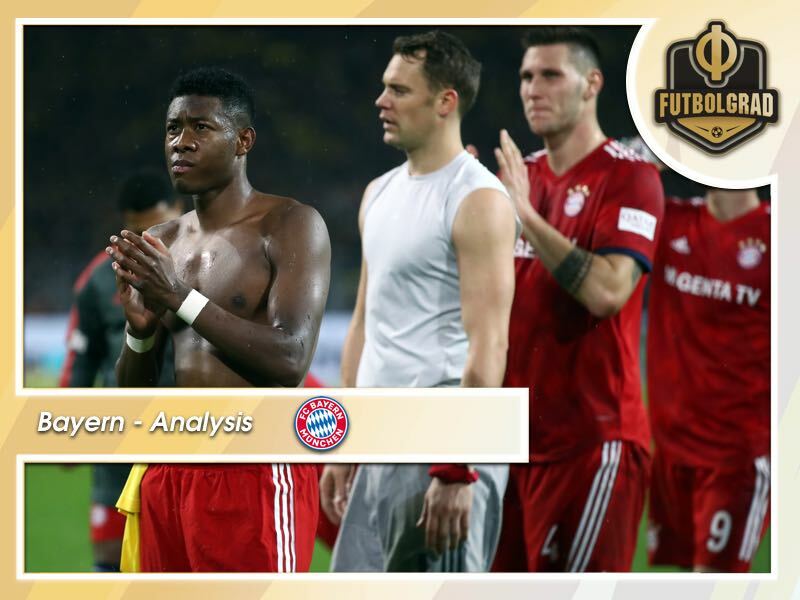 With plenty to spend and several areas to improve the Futbolgrad Network breaks down Bayern’s squad and where the club needs to make changes. Manuel Neuer has not been without criticism this season. The 32-year-old sat out most of last season with a serious injury but was back in time to play at the World Cup. 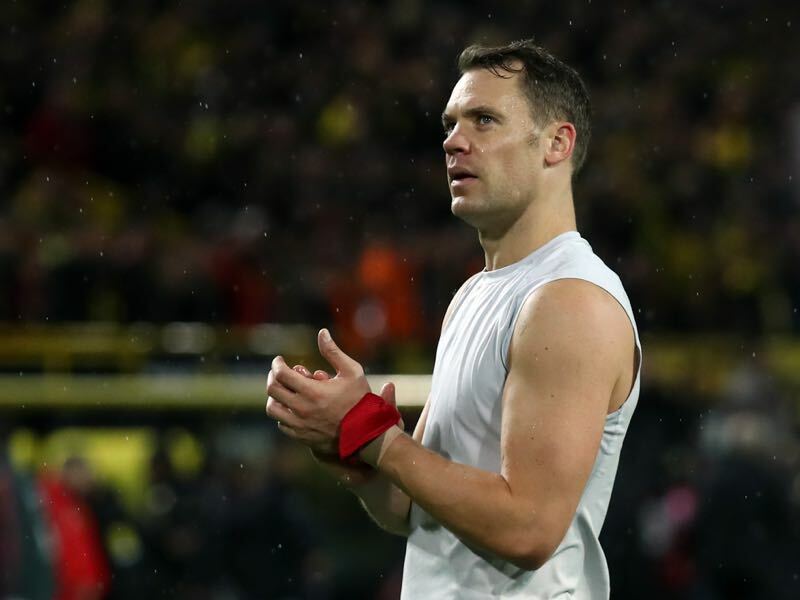 Ultimately, the early exit from the tournament was not Neuer’s fault, but his nomination was seen critical among players, who felt that Barcelona’s Marc-André ter Stegen should have started. The Barca keeper was among the best keepers in Europe that season and the starting keeper for the Germany squad that won the 2017 FIFA Confederations Cup in Russia. Since the World Cup Neuer has not been without flaws, however. Against Dortmund Neuer needlessly caused the penalty by bringing down Marco Reus, even though the Dortmund forward had no scoring opportunity. Neuer would later claim that the call “was harsh … Reus had no chance to score a goal in that situation.” Fact is that Neuer has always played a risky game in Bayern’s goal, but his forward-thinking mentality worked well when Bayern dominated their opponents. Nowadays, however, Bayern struggle to contain fast teams and, as a result, Neuer is forced more often under pressure. Hence, Neuer is a victim of playing behind a defence that has made more mistakes than in the past. Furthermore, after a year off Neuer will need time until he regains his former form. Overall, however, he remains one of the world’s best keepers and at 32 has a few years left in him. That said the club should perhaps look at bringing in a young goalkeeper, who could eventually challenge Neuer for the number one spot. Bayern’s defence has been uncharacteristically porous this season. Ahead of the Dortmund game, Bayern have allowed just 2.0 chances and 7.5 shots per game – in comparison Dortmund allowed 4.7 chances and 10.7 shots per game in the league. The difference between Dortmund and Bayern, however, is that Bayern’s opponents managed to score 55% of their chances (Dortmund’s opponents scored just 21.3% of their chances). One of the main reasons behind the difference is based on the tactical approach. Since the Pep Guardiola days, Bayern have always defended with a high defensive line. With dominant defenders like Mats Hummels and Jérôme Boateng Bayern were able to push up high the field and against most Bundesliga opponents the defensive line was able to rush back in time should the opponent get behind the high line. Visit the Allianz Arena and watch Bayern live! Book your European football travel now by visiting Nickes.com! The only time Bayern struggled was in the later rounds of the Champions League were Real Madrid, in particular, used the wide open area created behind Bayern’s defensive line for counter-attacks. But with Bayern getting increasingly older and with Bundesliga opponents having gained in quality Bayern find it increasingly more difficult to defend with a high line. Hummels, in particular, has struggled in one-on-one situations and blamed a cold after the game against Dortmund for his shortcomings when having to rush back. In truth, Hummels, however, already struggled at the World Cup where he was also in a dispute with Boateng for his tendencies to rush forward abandoning tactical principles. Boateng, in the meantime, has also struggled. Small injuries keep the athletic defender from playing at his best and with Niklas Süle emerging as one of the best defenders in Germany it now appears likely that either Boateng or Hummels could be shopped next summer to make room for a new defender. Candidates for new signings include Hoffenheim’s Kevin Vogt, who is among the fastest defenders in the league, and Stuttgart’s Benjamin Pavard. 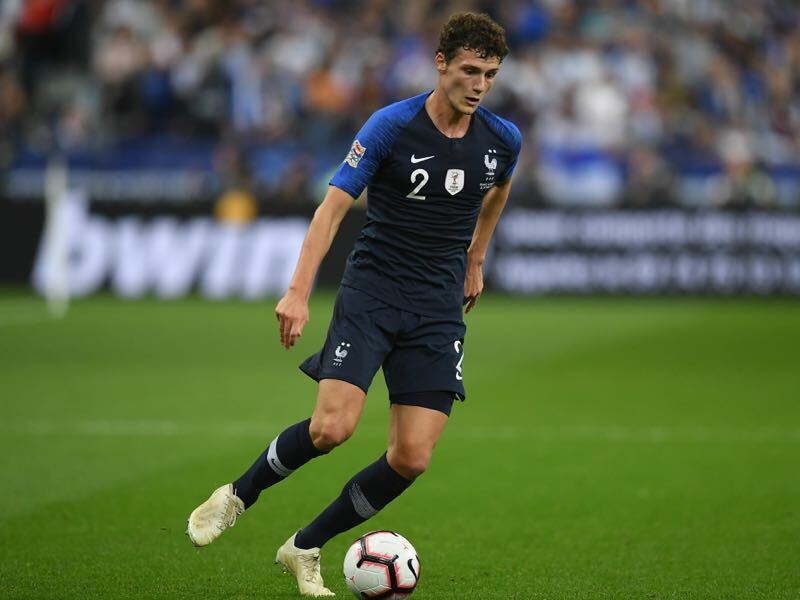 Pavard’s transfer, going by reports published in Bild and kicker, appears to be done. Versatile and capable of playing various positions in a back four Pavard will be one of the key signings for Bayern as the French defender could also act as a wing back like he did during the World Cup. The midfield has been another problem zone for Bayern. The high defensive line has been, in particular, porous because Bayern lack a holding player like they had in midfield maestro Xabi Alonso. Alonso would often drift between defence and midfield and despite not being the fastest was often capable of closing defensive holes before they even appeared. Javi Martínez, who has been playing there this season lacks the creativity and unlike Alonso does not have the vision to compensate for his lack of speed. 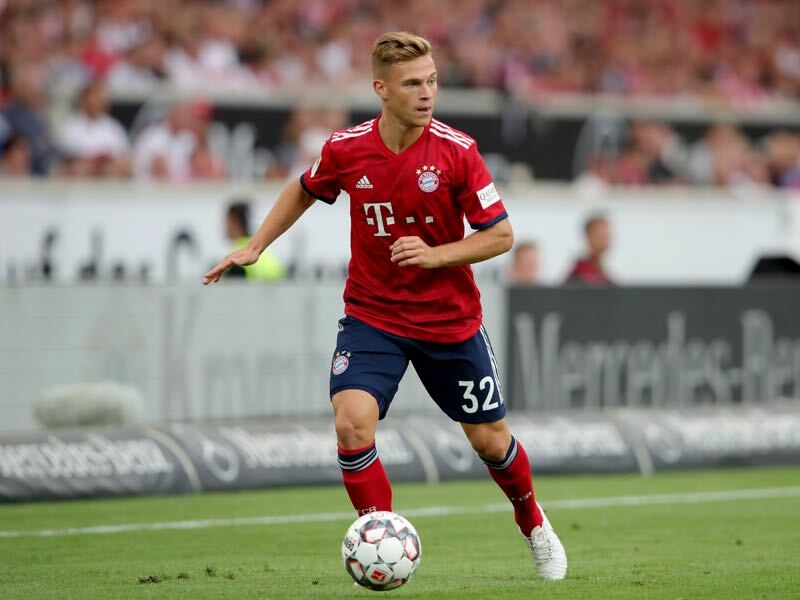 Joshua Kimmich has recently highlighted playing for the national team that he might be better suited in the midfield role. Similar to Philipp Lahm at the later stages of his career Kimmich’s ability to read the play, hold the ball means that he is almost wasted when he plays as a right back. Hence, in that regard, Bayern might be almost better of in signing another wing-back to allow Kimmich to move to midfield. Furthermore, with the likes of Renato Sanches, Thiago, Leon Goretzka and Corentin Tolisso means that Bayern have plenty of depth in midfield. In this department, it might simply be a case by the coaching staff to move around the tactical approach. Head coach Niko Kovac has successfully experimented with a 3-5-2 setup at Frankfurt and with plenty of good midfielders at his disposal a five-man midfield might be the solution to many of Bayern’s tactical problems at the moment. Whether James Rodrígues will be still a part of a Bayern midfield next season, however, remains to be seen. Bayern have a clause to make his transfer permanent for another €42 million. But while it almost seemed inevitable just a few months ago that Bayern would trigger that clause, it seems more likely now that James will return to Real with rumours suggesting that the Colombian has fallen out with Kovac. In attack, Bayern will likely see the most changes in the upcoming year. Both Arjen Robben (34) and Frank Ribéry (35) are in the final year of their respective contracts and it is now expected that neither will be given a new contract at the end of the season. Meanwhile, Thomas Müller, who has struggled to find a proper role under Carlo Ancelotti and now Niko Kovac is now questioned for the first time by the Bayern hierarchy. Here the question is whether a change of scenery would be better for both the player and the club. Regarding wingers, Bayern have already Kingsley Coman on the books. The 22-year-old, however, is somewhat injury prone and even though Bayern have Alphonso Davies inbound from the Vancouver Whitecaps it is likely that they will sign at least one, or even two, high profile wingers this upcoming summer. Ante Rebić was heavily linked to Bayern last summer but ended up signing a new contract at Frankfurt instead. Another name that has been mentioned is Manchester United’s, Anthony Martial. Another candidate could be Christian Pulisic, who has found it increasingly difficult to get playing time at Dortmund and would fit Bayern’s ambitions to grow their brand in the United States. Finally, Bayern will also be shopping for a new Robert Lewandowski backup. The Polish forward will turn 31 next year and while Bayern will not allow Lewandowski to leave they will undoubtedly bring in some competition for the forward. 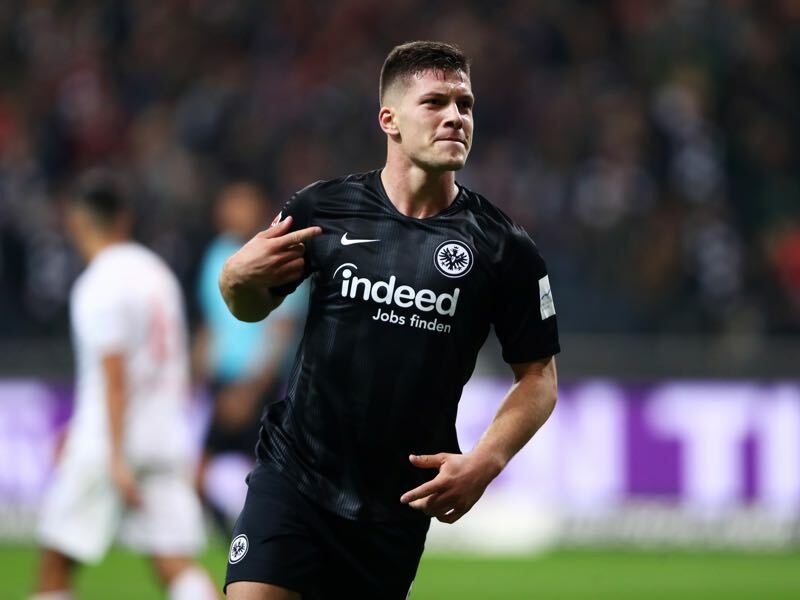 Kicker reported in their Monday issue that Luka Jović is one of the candidates. Jović, however, is represented by Lian Sports, which is associated with Pini Zahavi, the Israeli agent that attempted to facilitate Lewandowski’s move away from Bayern last summer. That could complicate things for Bayern, unless, of course, Hoeneß and CEO Karl-Heinz Rummenigge step away from their principle that Lewandowski is not for sale. The ultimate question, however, will be coaching. Will Bayern hang on to Niko Kovac? The current consensus appears to be that Kovac will be given time by the club as there are not good alternatives on the market at the moment – Zinedine Zidane does not speak German, which continues to be a key criterion for any new Bayern coach. Ultimately, Kovac will be allowed to stay as long as the club does not drift away from the Champions League spots. But make no mistake should results not improve then Bayern might make a change on the bench as well.